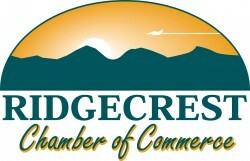 Join the Ridgecrest Chamber of Commerce for our monthly luncheon at the Historic USO Bldg. from 12-1pm. The cost is $20 for members and $25 for non-members. Contact 760-375-8331 to make a reservation.